This piece is a follow up to the article on allogeneic transfusion reactions, which extends into transplantation and transplantation outcomes for hematological diseases, both malignant and nonmalignant. The safety of transfusions in Western countries has improved substantially, and the causes for transfusion mishaps has been reduced to unexpected infectious sources, uncommon immune incompatibilities, and errors in processing the blood products. The greatest risk is incurred in platelet transfusions because of the short shelf-life of the product, and the time needed for testing prior to release. This portion of the review is concerned with Graft-versus-Host Disease, which is unique to transfusion and transplanting of blood. 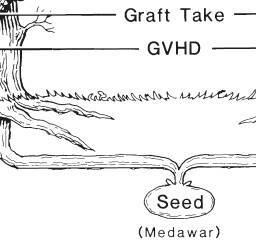 In other transplantation, there is graft failure because of host versus graft incompatibility or complications. The reverse order applies to blood. In this case, on the contrary, the transfused or grafted donor tissue becomes a pursuer after the recipients hematopoietic cells. Thomas E. Starzl, M.D., PH.D., F.A.C.S. Most of the surgical specialities can be tracked to the creative vision of a surgeon. Transplantation is an exception. Here, the father of the field is succinctly defined in the dictionary as: “Peter Brian Medawar: a Brazilian born British Zoologist who at the age of 45 shared a 1960 Nobel Prize for his work on acquired immunologic tolerance”. Medawar was mysteriously overwhelming to many colleagues and observers, even when he was young. He was the son of a Lebanese father and an English mother—tall, athletic, abnormally handsome, hypnotically articulate in public, and politely cordial in his personal relations. In September 1969, at the age of 54, he had the first of a series of strokes. These crippled him physically but not in spirit. Although I saw Medawar often professionally and privately over a 22 year period, before and after he was disabled, this sporadic exposure was not enough to understand him. My sense is that no one did, except perhaps Jean, his wife for nearly 50 years. in human studies with Gibson, and then with simple and logical rabbit experiments, Medawar showed that rejection of the skin was an immunologic phenomenon. This later was shown to be analogous to the cell-mediated delayed hypersensitivity that confers immunity to diseases such as tuberculosis. The principal evidence in the early studies was that repetitive grafts from the same donor were rejected more rapidly with each successive attempt —the sensitization and donor specificity confirming an earlier clinical observations by Emil Holman of Stanford in skin-grafted burn victims. Once it was established that rejection was an immune reaction, strategies began to evolve to weaken the recipient immune system. By 1953, total body irradiation and adrenal cortical steroids had been shown to delay skin rejection. However, this immunosuppressive effect was either minor if the animals survived, or lethal to the recipient if the grafts were spared. In the resulting atmosphere of nihilism about clinical applications, a three and one-half page article by Billingham, Brent, and Medawar in the October 3, 1953 issue of Nature describing acquired tolerance, came as a blinding beacon of hope. The three men had learned that donor splenocytes could be engrafted by their intravenous infusion into immunologically immature mice in utero or perinatally. When these inoculated recipients matured, they could accept skin and other tissues from the donor (but from no other) mouse strain. The immune system of the recipients had been populated by the immunocytes of the donor, meaning that they were now chimeras. The race was on to convert this principle to humans. However, the dark side of their accomplishment soon was revealed by the two younger members of Medawar’s team, Billingham and Brent and by the Dane, Simonsen. The engrafted donor cells could turn the tables and reject the defenseless recipient unless the tissue match was a good one. This was the dreaded graft versus host disease (GVHD) in which transplanted donor cells attacked the recipient skin, gastrointestinal tract, lungs, liver, and the bone marrow itself. Medawar’s dream of 1953 was suddenly a nightmare. Or was it? On the contrary, the work took a straight line to clinical application, after the demonstration by Prehn and Main that similar tolerance could be induced in adult mice rendered immunologically defenseless by total body irradiation before splenocyte (or later bone marrow) infusion. The recipient conditioning, known as cytoablation, also could be accomplished with myelotoxic drugs. However, as Billingham, Brent, and Medawar had predicted, donor specific tolerance could be induced in humans without GVHD only if there was a good tissue (HLA) match. In 1968, 15 years after the epic Billingham, Brent and Medawar publication, Robert Good and Fritz Bach reported the first two successful human bone marrow transplants. Both recipients of well matched bone marrow from blood relatives are still alive. This was a triumph in which the principal clinicians were internists, as summarized 25 years later in the acceptance speech by the 1990 Nobel Laureate Donnall Thomas. The growth of bone marrow (right) and whole organ transplantation (left) from the seed planted by Peter Medawar during World War II. GVHD, Graft versus host disease. “Immunological tolerance” may be described as a state of indifference or non-reactivity towards a substance that would normally be expected to excite an immunological response. The term first came to be used in the context of tissue transplantation immunity, i.e. of the form of immunity that usually prohibits the grafting of tissues between individuals of different genetic make-up; and it was used to refer only to a non-reactivity caused by exposing animals to antigenic stimuli before they were old enough to undertake an immunological response. For example, if living cells from a mouse of strain CBA are injected into an adult mouse of strain A, the CBA cells will be destroyed by an immunological process, and the A-line mouse that received them will destroy any later graft of the same origin with the speed to be expected of an animal immunologically forearmed. But if the CBA cells are injected into a foetal or newborn A-line mouse, they are accepted; more than that, the A-line mouse, when it grows up, will accept any later graft from a CBA donor as if it were its own. I shall begin by using the term “immunological tolerance” in the rather restricted sense that is illustrated by this experiment, and shall discuss its more general usage later on. The experiment I have just described can be thought of as an artificial reproduction of an astonishing natural curiosity, the phenomenon of red-cell chimerism in certain dizygotic twins. The blood systems of twin cattle before birth are not sharply distinct from each other, as they are in most other twins; instead, the blood systems make anastomoses with each other, with the effect that the twins can indulge in a prolonged exchange of blood before birth. In 1945, R.D. Owen2 made the remarkable discovery that most twin cattle are born with, and may retain throughout life, a stable mixture – not necessarily a fifty-fifty mixture – of each other’s red cells; it followed, then, that the twin cattle must have exchanged red-cell precursors and not merely red cells in their mutual transfusion before birth. This is the first example of the phenomenon we came to call immunological tolerance; the red cells could not have “adapted” themselves to their strange environment, because they were in fact identified as native or foreign by those very antigenie properties which, had an adaptation occurred, must necessarily have been transformed. A few years later R.E. Billingham and I3, with the help of three members of the scientific staff of the Agricultural Research Council, showed that most dizygotic cattle twins would accept skin grafts from each other, and that this mutual tolerance was specific, for skin transplanted from third parties was cast off in the expected fashion. The main points that emerged from our analysis of the tolerant state were these. In the first place, tolerance must be due to an alteration of the host, not to an antigenic adaptation of the grafted cells, for grafts newly transplanted in adult life have no opportunity to adapt themselves, and the descendants of the cells injected into foetal or newborn animals can be shown by N.A. Mitcbison’s methods to retain their antigenic power10. Once established, the state of tolerance is systemic; if one part of the body will tolerate a foreign graft, so will another; we found no evidence that a tolerated graft builds up a privileged position for itself within its own lymphatic territory. The stimulus that is responsible for instating tolerance is an antigenic stimulus – one which, had it been applied to older animals, would have caused them to become sensitive or immune. A plural stimulus can induce plural tolerance; the donor will usually contain several important antigens that are lacking in the recipient, and long-lasting tolerance must imply tolerance of them all. The state of tolerance is specific in the sense that it will discriminate between one individual and another, for an animal made tolerant of grafts from one individual will not accept grafts from a second individual unrelated to the first; but it will not discriminate between one tissue and another from the same donor. Tolerance and auto-immunity: 50 years after Burnet. Eur J Pediatr. 1999 Oct;158(10):769-75. Fifty years ago Sir F. Macfarlane Burnet published his first fundamental contribution to the theory of immune tolerance he perfected 10 years later. Since then an impressive amount of new information on the function of the immune system has been gathered. As any original meaningful theory, Burnet’s hypothesis on the development of immune tolerance has undergone extensive modifications to take into account all these new findings. An improved understanding of the mechanisms of tolerance has led to new possibilities for the treatment of auto-immune diseases. Clonal selection theory is a scientific theory in immunology that explains the functions of cells (lymphocytes) of the immune system in response to specific antigens invading the body. The concept was introduced by an Australian doctor Frank Macfarlane Burnet in 1957 in an attempt to explain the formation of a diversity of antibodies during initiation of the immune response. The theory has become a widely accepted model for how the immune system responds to infection and how certain types of B and T lymphocytes are selected for destruction of specific antigens. The theory states that in a pre-existing group of lymphocytes (specifically B cells), a specific antigen only activates (i.e. selection) its counter-specific cell so that particular cell is induced to multiply (producing its clones) for antibody production. In short the theory is an explanation of the mechanism for the generation of diversity of antibody specificity. The first experimental evidence came in 1958, when Gustav Nossal and Joshua Lederberg showed that one B cell always produces only one antibody. The idea turned out to be the foundation of molecular immunology, especially in adaptive immunity. Immunology. 2006 Nov; 119(3): 291–295. Robert A. Good began his intellectual and experimental queries related to the thymus in 1952 at the University of Minnesota, initially with pediatric patients. However, his interest in the plasma cell, antibodies and the immune response began in 1944, while still in Medical School at the University of Minnesota in Minneapolis, with his first publication appearing in 1945. Good and others found that the patients lacked all of the subsequently described immunoglobulins. These patients were found not to have plasma cells or germinal centers in their hematopoietic and lymphoid tissues. They possessed circulating lymphocytes in normal numbers. Speculation on the reason for immunological failure following neonatal thymectomy has centered on the thymus as a source of cells or humoral factors essential to normal lymphoid development and immunological maturation. The bursa of Fabricius and the thymus are ‘central lymphoid organs’ in the chicken, essential to the ontogenetic development of adaptive immunity in that species. Studies by Papermaster and co-workers in Good’s laboratory34,35 indicated that bursectomy in the newly hatched chicks did not completely abolish immunological potential in the adult animal but rather produced a striking quantitative reduction insufficient to eliminate the homograft reaction. The failure of thymectomy in newly hatched chicks to alter the immunological potential of the maturing animal probably only reflected the participation of the bursa of Fabricius in the development of full immunological capacity. Bursectomized and irradiated birds were completely devoid of germinal centers, plasma cells and the capacity to make antibodies yet they had perfectly normal development of thymocytes and lymphocytes elsewhere in the body that mediated cellular immune reactions. On the other hand, thymectomized and irradiated animals were deficient in lymphocytes that mediated cellular immunity as assessed by skin graft rejection, delayed-type hypersensitivity and graft versus host assays, but they still produced germinal centers, plasma cells and circulating immunoglobulins. Graft-versus-host disease (GVHD) is a complication that can occur after a stem cell or bone marrow transplant. With GVHD, the newly transplanted donor cells attack the transplant recipient’s body. Graft-versus-host disease (GVHD) is a common complication following an allogeneic tissue transplant. It is commonly associated with stem cell or bone marrow transplant but the term also applies to other forms of tissue graft. Immune cells (white blood cells) in the tissue (the graft) recognize the recipient (the host) as “foreign“. The transplanted immune cells then attack the host’s body cells. GVHD can also occur after a blood transfusion if the blood products used have not been irradiated or treated with an approved pathogen reduction system. GVHD may occur after a bone marrow or stem cell transplant in which someone receives bone marrow tissue or cells from a donor. This type of transplant is called allogeneic. The new, transplanted cells regard the recipient’s body as foreign. When this happens, the newly transplanted cells attack the recipient’s body. GVHD does not occur when someone receives his or her own cells during a transplant. This type of transplant is called autologous. There are two types of GVHD: acute and chronic. Symptoms in both acute and chronic GVHD range from mild to severe. Acute GVHD usually happens within the first 6 months after a transplant. Chronic GVHD usually starts more than 3 months after a transplant, and can last a lifetime. A bone marrow transplant is a procedure to replace damaged or destroyed bone marrow with healthy bone marrow stem cells. Stem cells are immature cells in the bone marrow that give rise to all of your blood cells. A histocompatibility antigen blood test looks at proteins called human leukocyte antigens (HLAs). These are found on the surface of almost all cells in the human body. HLAs are found in large amounts on the surface of white blood cells. They help the immune system tell the difference between body tissue and substances that are not from your own body. 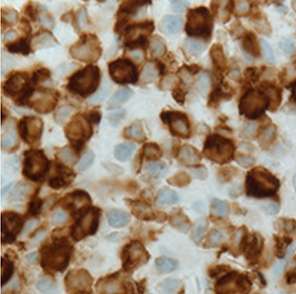 fully mismatched bone-marrow (BM) engraftment, in HSCT murine models. This is likely due to the marked lymph node homing of the Tcm, their strong proliferative capacity and prolonged persistence in BM transplant recipients. Thus, combining anti 3rd-party Tcm cell therapy with a ‘megadose’ of purified CD34+ stem cells, could offer a safer RIC protocol for attaining hematopoietic chimerism in patients with hematological diseases and as a platform for organ transplantation or cell therapy in cancer patients. The use of hematopoietic stem cell transplantation (HSCT) for the establishment of mixed chimerism represents a viable and attractive approach for generating tolerance in transplantation biology, as it generally leads to durable immune tolerance, enabling the subsequent engraftment of organ transplants without the need for a deleterious continuous immunosuppressive therapy. However, in order to apply HSCT to patients in a manner that enables long term survival, transplant-related mortality must be minimized by eliminating the risk for graft-versus-host-disease (GVHD) and by reducing the toxicity of the conditioning protocol. T-cell depleted bone marrow transplants (TDBMT) have been shown to adequately eliminate GVHD. However, even in leukemia patients undergoing supralethal conditioning, mismatched TDBMT are vigorously rejected. This barrier can be overcome through the modulatory activity of CD34 cells, which are endowed with veto activity, by the use of megadose stem cell transplants. In mice, megadoses of Sca+lin– hematopoietic stem cells can induce mixed chimerism following sub-lethal conditioning. Nevertheless, the number of human CD34 cells that can be harvested is not likely to be sufficient to overcome rejection under reduced intensity conditioning (RIC), which might be acceptable in recipients of organ transplantation. To address this challenge, we investigated a novel source of veto cells, namely anti 3rd-party cytotoxic T cells (CTLs) which are depleted of GVH reactivity, combined with megadoses of purified stem cells and a RIC protocol. This approach might provide a safer modality for the induction of durable chimerism. Activation and migration of marginal zone B (MZB) cells into follicular (FO) regions of the spleen has been proposed as one of the mechanisms that regulate the development of autoreactive B cells. The mer receptor tyrosine kinase (Mertk) mediates apoptotic cell clearance and regulates activation and cytokine secretion. In the well-studied class II chronic GVH model of bm12 cells into B6 hosts, we observed that Mertk deficient B6 mice did not generate autoantibodies in response to this allogeneic stimulus. We posited that Mertk is important in MHC-II-mediated B cell signaling. In the present study, we show that B cells from Mertk-/- mice but not WT B6 mice exhibited decreased calcium mobilization and tyrosine phosphorylation when stimulated by MHC-II cross-linking. The finding that Mertk was important for class II signaling in B cells was further supported by the preponderance of a-allotype autoantibodies in cGVH in RAG-KO mice reconstituted with a mixture of bone marrow from Mertk-/-mice (b-allotype) and C20 mice (a-allotype). MZB cells from Mertk-/- mice were unable to down regulate surface CD1d expression and subsequent inclusion in the MZ, associated with significantly lower germinal center responses compared to MZB cells from WT. Moreover, Mertk-/- mice treated with an anti-CD1d down regulating antibody responded significantly to bm12 cells, while no response was observed in Mertk-/- mice treated with control antibodies. Taken together, these findings extend the role of Mertk to include CD1d down regulation on MZB cells, a potential mechanism limiting B cell activation in cGVH. Kazuki Sakai, Eri Kawata, Eishi Ashihara, Yoko Nakagawa, et al. Galectins comprise a family of animal lectins that differ in their affinity for β-galactosides. Galectin-9 (Gal-9) is a tandem-repeat-type galectin that was recently shown to function as a ligand for T-cell immunoglobin domain and mucin domain-3 (Tim-3) expressed on terminally differentiated CD41 Th1 cells. 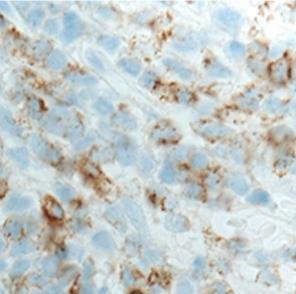 Gal-9 modulates immune reactions, including the induction of apoptosis in Th1 cells. In this study, we investigated the effects of Gal-9 in murine models of acute GVH disease (aGVHD). First, we demonstrated that recombinant human Gal-9 inhibit MLR in a dose-dependent manner, involving both Ca21 influx and apoptosis in T cells. Next, we revealed that recombinant human Gal-9 significantly inhibit the progression of aGVHD in murine BM transplantation models. In conclusion, Gal-9 ameliorates aGVHD, possibly by inducing T-cell apoptosis, suggesting that gal-9 may be an attractive candidate for the treatment of aGVHD. The pathophysiology of acute graft-versus-host disease (aGVHD) is known to involve donor T cells responding to host histoincompatible allo-antigens presented by the host antigen presenting cells (APCs) and the subsequent induction of pro-inflammatory cytokines and cellular effectors that cause target organ damage. In a more general sense, GVHD can be considered as an immune response against foreign antigens that has gone awry. Similar to all immune responses, GVHD, can be understood as a process that consists of (A) triggers, (B) sensors, (C) mediators, and (D) effectors of GVHD. Like all immune responses, certain triggers are critical for induction of acute graft-versus-host disease (aGVHD). These include: (1) Disparities between histocompatibility antigens: antigen disparity can be at the level of major histocompatibility complex (MHC), that is, MHC mismatched or at the level of minor histocompatibility antigens (miHA), that is, MHC matched but miHA mismatched. The severity of aGVHD is directly related to the degree of M HC mismatch. In bone marrow transplants (BMT) that are MHC matched but miHA disparate, donor T cells still recognize MHC-peptide derived from the products of recipient polymorphic genes, the miHAs. The triggers that initiate an immune response have to be sensed and presented. APCs might be considered the sensors for aGVHD. The APCs sense the DAMPs, present the MHC disparate or miHA disparate protein, and provide the critical secondary (costimulatory) and tertiary (cytokine) signals for activation of the alloreactive T cells, the mediators of aGVHD. APCs sense allo-disparity through MHC and peptide complexes. Dendritic cells (DCs) are the most potent APCs and the primary sensors of allo-disparity. APCs provide the critical costimulation signals for turning on the aGVHD process. The interaction between the MHC/allopeptide complex on APCs and the T cell receptor of donor T cells along with the signal via T cell costimulatory molecules and their ligands on APCs is required to achieve T cell activation, proliferation, differentiation, and survival and the in vivo blockade of positive costimulatory molecules (such as CD28, ICOS, CD40, CD30, etc. ), or inhibitory signals (such as PD-1 and CTLA-4) mitigate or exacerbate aGVHD, respectively. Evidence suggests that alloreactive donor T cells consist of several subsets with different stimuli responsiveness, activation thresholds, and effector functions. The allo-antigen composition of the host determines which donor T cells subsets differentiate and proliferate. As mentioned previously, in the majority of HLA-matched HCT, aGVHD may be induced by either or both CD41 and CD81 subsets responses to miHAs. The repertoire and immunodominance of the GVHD-associated peptides presented by MHC class I and class II molecules has not been defined. Donor naive CD62L1 T cells are the primary alloreactive T cells that drive the GVHD reaction while the donor effector memory CD62L2 T cells do not. Interestingly, donor regulatory T cells (Tregs) expressing CD62L are also critical to the regulation of GVHD. We now know that it is possible to modulate the alloreactivity of na€ıve T cells by inducing anergy with costimulation blockade, deletion via cytokine modulation, or mixed chimerism. Donor effector memory T cells that are nonalloreactive do not induce GVHD, yet are able to transfer functional memory. In contrast, memory T cells that are alloreactive can cause severe GVHD. CTL pathways are essential for GVL effects as well. All of the above aspects of the biology of aGVHD have been summarized in the mold of a normal immune response. Although this allows for accessing the biology of GVHD, it is important to note that GVHD is a complicated systemic process with as yet still many unknowns and is not a simplified, linear, or cyclical process. increased in the host trunk kidney, constituting more than 80% of total cells 1–2 weeks after donor cell injection, while those from non-sensitized donors constituted less than 50% of cells present. The increase of CD4+ T cells was greater and more rapid than that of CD8+ T cells. The number of donor CD4+ and CD8+ T cells was highest in trunk kidney followed by spleen. Increases in donor CD4+ and CD8+ T cells were also found in liver and PBL, although the percentages were not as high. Pathologic changes similar to those in human and murine acute GVHD were observed in the lymphoid organs as well as target organs such as skin, liver and intestine, including the destruction of cells and tissues and massive leukocyte infiltration. The pathologic changes became more severe with the increase of CD8+ T cells. These results suggest that donor-derived CD8+ T cells play essential roles for the induction of acute GVHR/D in teleosts as in mammals. as BuCy (Mel) in patients with similar indications for allo-HCT. and mortality following allogeneic stem cell transplantation (HCT), with approximately 50% to 60% of long-term HCT survivors developing one or more manifestations of the disorder. Although acute GVHD is typically limited to skin, liver, and gastrointestinal involvement, virtually every organ is at risk for the development of cGVHD. Although the pathophysiology of cGVHD remains poorly understood, some of the most severe organ manifestations are linked by end-organ fibrosis. In particular, fibrotic cutaneous and bronchiolar changes, resulting in scleroderma-like changes and bronchiolitis obliterans syndrome (BOS), respectively, are two of the most devastating outcomes for these patients. Both sclerotic GVHD (ScGVHD) and BOS have been reported in 5% to 15% of patients with cGVHD. Many of the manifestations of cGVHD share clinical characteristics seen in nontransplant conditions, including systemic sclerosis or pulmonary fibrosis. Thus, understanding the pathophysiology underlying these related conditions may help identify potential mechanisms and ultimately new therapeutic options for patients with cGVHD. Tyrosine kinase inhibitors (TKIs) have been shown to inhibit two different profibrotic pathways (transforming growth factor β [TGF-β] and platelet-derived growth factor [PDGF]) in various mouse models of fibrotic disease and offer a possible novel treatment approach for cGVHD patients suffering from severe sclerosis. Likewise, overexpression of TNF-α has been shown to induce fibrogenesis in experimental hepatocellular disease and has been linked with human scleroderma-associated interstitial pulmonary fibrosis and profibrotic responses in human osteoarthritic hip joint fibroblasts. The use of TNF antagonists has been examined in some clinical situations associated with fibrosis, suggesting they may also be of some benefit to patients with cGVHD; however, this must first be prospectively tested. Effect of etanercept on survival in post-HCT patients with subacute lung injury. (A) Overall 5-year survival by pulmonary function testing defect. Patients with an obstructive defect (solid line) had a 5-year survival of 67% compared with 44% in those with a restrictive lung defect (dashed line) (P 5 .19). (B) Overall 5-year survival by response to therapy. Patients who responded to etanercept therapy (solid line) had a 5-year survival of 90% compared with 55% in patients who failed to respond (dashed line) (P 5.07). (Figures reprinted with permission, Biol Blood and Marrow Trans). Extensive, sclerotic skin changes with superficial or deep subcutaneous or fascial involvement are seen in approximately 4% to 13% of patients with cGVHD and can be a life-threatening manifestation. ScGVHD of the skin includes several cutaneous presentations characterized by inflammation and progressive fibrosis of the dermis and subcutaneous tissues. These changes can resemble morphea, systemic sclerosis, or eosinophilic fasciitis and may or may not occur in the setting of concurrent overlying epidermal GVHD. When severe, ScGVHD can result in contractures, severe wasting, and chest wall restriction. to be completely reliable in the setting of ScGVHD, and it is likely that multiple measures will need to be integrated into the assessment of ScGVHD. Imatinib mesylate (Gleevec in the US; Glivec in Europe, Australia, and Latin America, marketed by Novartis) is a TKI that has biological activity against both PDGF and TGF-β signaling pathways. Both cytokines have been implicated in the pathogenesis of several fibrosing diseases, including hepatic, renal, and lung, as well as in scleroderma, a disease that closely resembles ScGVHD. In addition, stimulatory antibodies specific for the PDGF receptor (PDGFR) were identified in a series of 39 patients with extensive cGVHD with higher levels detected in those patients with skin involvement. Similar stimulatory antibodies targeting PDGFR have been reported in patients with scleroderma, suggesting an important therapeutic target for these fibrosing conditions. Imatinib mesylate has particularly potent activity against PDGF and is FDA approved in the United States for the treatment of several disorders associated with aberrant PDGFR signaling. The side effect profile of the drug is well established in non-HCT patients, which is helpful in the setting of a therapy for allogenic HCT patients, many of whom have multiorgan system symptoms and possible dysfunction and who will require ongoing immunosuppressive therapy. Through the efforts of the Chronic GVHD Consortium, led by Stephanie Lee at the Fred Hutchinson Cancer Research Center, there is a multicenter, ongoing prospective evaluation of the NIH diagnostic and assessment tools. This effort has already resulted in several publications that have further refined essential criteria for cGVHD evaluation, including organ-specific manifestations such as BOS and ScGVHD. Currently, the Consortium is conducting a multicenter prospective clinical trial of fluticasone propionate, azithromycin, and montelukast for the treatment of BOS (ClinicalTrials.gov NCT01307462); a separate trial of imatinib versus rituximab for treatment of ScGVHD is also enrolling subjects (ClinicalTrials.gov NCT01309997). Although cGVHD remains a significant problem for many long-term survivors of HCT, critical advances in cGVHD research and treatment can be achieved by cooperative group efforts such as those put forth by the Chronic GVHD Consortium and the Clinical Trials Network. Carmen Alaez, Mariana Loyola, Andrea Murguıa, Hilario Flores, et al. HSCT provides the opportunity to replace a damaged tissue. It is the most important treatment for high risk hematologic malignant and nonmalignant disorders. An important challenge in the identification of matched donors/patients is the HLA diversity. The Mexican Bone Marrow Registry (DONORMO) has nowadays N5000 donors. The prevalent alleles are Amerindian, Mediterranean (Semitic and Spanish genes) and African. In theory, it is possible to find 11% of 6/6 A–B–DR low resolution matches for 70% of patients with Mexican ancestry. We contributed with 39 unrelated, cord blood and autologous HSCT for patients with malignant, genetic and autoimmune disorders. Overall disease survival was 50% (2–7 years) depending on the initial diagnosis, conditioning, disease evolution or other factors. Clinical studies using autologous and unrelated HSC are performed on patients with refractory autoimmune diseases producing mixed results: mainly, T1D, RA, MS, SLE. Improvement has been observed in skin damage and quality of life in SLE and systemic sclerosis. Disease stabilization in 2/3 of MS patients. However, in RA and T1D, initial benefits have been followed by eventual relapse. With growing clinical experience and protocol improvement, treatment-related mortality is decreasing. Proof efficacy will be achieved by comparing HSCT with standard therapy in autoimmunity. Liqing Jin, Erwin M. Lee, Hayley S. Ramshaw, Samantha J. Busfield, et al. to bone marrow (BM) and activating innate immunity of nonobese diabetic/ severe-combined immunodeficient (NOD/SCID) mice. 7G3 treatment profoundly reduced AML-LSC engraftment and improved mouse survival. and periphery and impaired secondary transplantation upon treatment, establishing that AMLLSCs were directly targeted. 7G3 inhibited IL-3-mediated intracellular signaling of isolated AML CD34+ CD38 cells in vitro and reduced their survival. These results provide clear validation for therapeutic monoclonal antibody (mAb) targeting of AML-LSCs and for translation of in vivo preclinical research findings toward a clinical application. Olle Ringdén, Mats Remberger, Katarina Holmberg, Charlotta Edeskog, et al. Patients are isolated in the hospital during the neutropenic phase after allogeneic hematopoietic stem cell transplantation. We challenged this by allowing patients to be treated at home. A nurse from the unit visited and checked the patient. One hundred forty-six patients treated at home were compared with matched hospital control subjects. Oral intake was intensified from September 2006 and improved (P < .002). We compared 4 groups: home care and control subjects before and after September 2006. The cumulative incidence of acute graft-versus-host disease (GVHD) of grades II to IV was 15% in the “old” home care group, which was significantly lower than that of 32% to 44% in the other groups (P <.03). Transplantation-related mortality, chronic GVHD, and relapse were similar in the groups. The “new” home care patients spent fewer days at home (P < .002). In multivariate analysis, GVHD of grades 0 to I was associated with home care (hazard ratio [HR], 2.46; P <.02) and with days spent at home (HR, .92; P < .005) but not with oral nutrition (HR, .98; P = .13). Five year survival was 61% in the home care group as compared with 49% in the control subjects (P < .07). Home care is safe. Home care and many days spent at home were correlated with a low risk of acute GVHD. Jaime Sanz, Francisco J. Jaramillo, Dolores Planelles, Pau Montesinos, et al. This retrospective study analyzed the impact of directional donor-recipient human leukocyte antigen (HLA) disparity using allele-level typing at HLA-A, -B, -C, and -DRB1 in 79 adults with acute myeloid leukemia (AML) who received single-unit umbilical cord blood (UCB) transplant at a single institution. With extended high resolution HLA typing, the donor-recipient compatibility ranged from 2/8 to 8/8. HLA disparity showed no negative impact on nonrelapse mortality (NRM), graft-versus-host (GVH) disease or engraftment. Considering disparities in the GVH direction, the 5-year cumulative incidence of relapse was 44% and 22% for patients receiving an UCB unit matched > 6/8 and < 6/8, respectively (P <.04). In multivariable analysis, a higher HLA disparity in the GVH direction using extended high-resolution typing (Risk ratio [RR] 2.8; 95% confidence interval [CI], 1.5 to 5.1; P ¼.0009) and first complete remission at time of transplantation (RR 2.1; 95% CI, 1.2 to 3.8; P < .01) were the only variables significantly associated with an improved disease-free survival. In conclusion, we found that in adults with AML undergoing single-unit UCBT, an increased number of HLA disparities at allele-level typing improved disease-free survival by decreasing the relapse rate without a negative effect on NRM. Donor-recipient human leukocyte antigen mismatch level affects the outcome of unrelated cord blood (CB) transplantation. To identify possible “permissive” mismatches, we examined the relationship between direction of human leukocyte antigen mismatch (“vector”) and transplantation outcomes in 1202 recipients of single CB units from the New York Blood Center National Cord Blood Program treated in United States Centers from 1993-2006. Altogether, 98 donor/patient pairs had only unidirectional mismatches: 58 in the graft-versus-host (GVH) direction only (GVH-O) and 40 in the host-versus-graft or rejection direction only (R-O). Engraftment was faster in patients with GVH-O mismatches compared with those with 1 bidirectional mismatch (hazard ratio [HR] = 1.6, P < .003). In addition, patients with hematologic malignancies given GVH-O grafts had lower transplantation-related mortality (HR = 0.5, P < .062), overall mortality (HR = 0.5, P < .019), and treatment failure (HR = 0.5, P < .016), resulting in outcomes similar to those of matched CB grafts. In contrast, R-O mismatches had slower engraftment, higher graft failure, and higher relapse rates (HR = 2.4, P < .010). Based on our findings, CB search algorithms should be modified to identify unidirectional mismatches. We recommend that transplant centers give priority to GVH-O-mismatched units over other mismatches and avoid selecting R-O mismatches, if possible. Donor cell leukemia (DCL) is a rare but severe complication after allogeneic stem cell transplantation. Its true incidence is unknown because of a lack of correct recognition and reporting, although improvements in molecular analysis of donor-host chimerism are contributing to a better diagnosis of this complication. The mechanisms of leukemogenesis are unclear, and multiple factors can contribute to the development of DCL. In recent years, cord blood has emerged as an alternative source of hematopoietic progenitor cells, and at least 12 cases of DCL have been reported after unrelated cord blood transplantation. 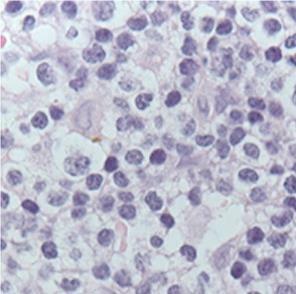 We report a new case of DCL after unrelated cord blood transplantation in a 44-year-old woman diagnosed as having acute lymphoblastic leukemia with t(1;19) that developed acute myeloid leukemia with normal karyotype and nucleophosmin (NPM1) mutation in donor cells. To our knowledge, this is the first report of NPM1 mutation contributing to DCL development. 63-year-old female with relapsed acute myeloid leukemia (AML) after allogeneic stem cell transplantation reached CR2 after re-induction therapy followed by consolidation with donor lymphocyte infusions: 3 x 107/kg and 3 x 108/kg after 1 and 2.5 months, respectively. No signs of graft-versus-host disease were observed at this time. At 5 months follow-up, her blood count deteriorated: hemoglobin: 6.9 mmol/L, thrombocytes: 58 x 109/L and leukocytes: 1.37 x 109/L. Bone marrow aspirate was not evaluable. Bone marrow trephine biopsy showed relapse AML with hypercellularity in the H&E staining (340 objective lens, panel A) and 20% CD341 blast cells without any signs of maturation (panel B). Also, a high number of CD3 positive T cells (panel C) was noted, intermingling with the CD34 positive blasts, both staining positively with CD43 (panel D). Only supportive care was given. However, normalization of the blood count was observed in the following months and she developed graft-versus-host disease of the lung, which was treated with ciclosporin and prednisone. 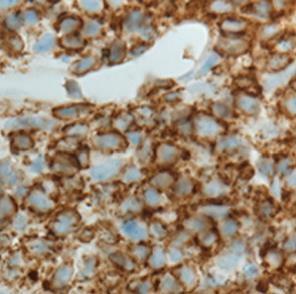 A bone marrow aspirate performed 3 months after relapse showed a third remission with 0.8% myeloid blasts. In retrospect, one could therefore consider the picture of the bone marrow trephine biopsy at the second relapse as graft-versus-leukemia in the bone marrow. Victoria T. Potter, Pramila Krishnamurthy, Linda D. Barber, ZiYi Lim, et al. Allogeneic hematopoietic stem cell transplantation (HSCT) with reduced-intensity conditioning (RIC) offers a potential cure for patients with myelodysplastic syndrome (MDS) who are ineligible for standard-intensity regimens. Previously published data from our institution suggest excellent outcomes at 1 yr using a uniform fludarabine, busulfan, and alemtuzumab-based regimen. Here we report long-term follow-up of 192 patients with MDS and acute myelogenous leukemia (AML) secondary to MDS (MDS-AML) transplanted with this protocol, using sibling (n = 45) or matched unrelated (n = 147) donors. The median age of the cohort was 57 yr (range, 21 to 72 yr), and median follow-up was 4.5 yr (range, 0.1 to 10.6 yr). The 5-yr overall survival (OS), event-free survival, and nonrelapse mortality were 44%, 33%, and 26% respectively. The incidence of de novo chronic graft-versus-host disease (GVHD) was low at 19%, illustrating the efficacy of alemtuzumab for GVHD prophylaxis. Conversely, the 5-yr relapse rate was 51%. For younger patients (age <50 yr), the 5-yr OS and relapse rates were 58% and 39%, respectively. On multivariate analysis, advanced age predicted significantly worse outcomes, with patients age >60 yr having a 5-yr OS of 15% and relapse rate of 66%. Patients receiving preemptive donor lymphocyte infusions had an impressive 5-yr OS of 67%, suggesting that this protocol may lend itself to the incorporation of immunotherapeutic strategies. Overall, these data demonstrate good 5-yr OS for patients with MDS and MDS-AML undergoing alemtuzumab-based RIC-HSCT. The low rate of chronic GVHD is encouraging, and comparative studies with other RIC protocols are warranted. Peter Lang, Matthias Pfeiffer, Heiko-Manuel Teltschik, Patrick Schlegel, et al. Lytic activity and recovery of natural killer (NK) cells was monitored in pediatric patients with leukemias (ALL, AML, CML, JMML) and myelodysplastic syndromes after transplantation of T cell depleted stem cells from matched unrelated (n = 18) and mismatched related (haploidentical, n = 29) donors. CD34+ selection with magnetic microbeads resulted in 8 x 103/kg residual T cells. No post-transplant immune suppression was given. NK cells recovered rapidly after transplantation (300 CD56+/mL at day 30, median), whereas T cell recovery was delayed (median: 12 CD3+/mL at day 90). NK activity was measured as specific lysis of K 562 targets several times (mean: 3 assays per patient). Four temporal patterns of lytic activity could be differentiated: consistently low, consistently high, decreasing and increasing activity. Patients with consistently high or increasing activity had significantly lower relapse probability than patients with consistently low or decreasing levels (0.18 vs 0.73 at 2 years, p < 0.05). The subgroup of patients with ALL showed similar results (0.75 vs 0.14 at 2 years, p < 0.05). Speed of T cell recovery had no influence. These data suggest that both achieving and maintaining a high level of NK activity may contribute to prevent relapse. Since NK activity could be markedly increased by in vitro stimulation with Interleukin 2 (IL-2), in vivo administration should be considered. J Am Acad Dermatol 2012; 66: 515.e1-18. Graft-versus-host disease is the primary cause of morbidity and nonerelapse related mortality in patients who undergo allogeneic hematopoietic cell transplantation. Acute graft-versus-host disease manifests as a skin exanthem, liver dysfunction, and gastrointestinal involvement. Chronic graft-versus-host disease of the skin is remarkably variable in its clinical presentation. Chronic graft-versus-host disease is a multisystem disorder that may affect nearly any organ; the most common sites are the skin, oral mucosa, and eyes. Usanarat Anurathapan, S Pakakasama, P Mekjaruskul, N Sirachainan, et al. Improving outcomes among class 3 thalassemia patients receiving allogeneic hematopoietic stem cell transplantations (HSCT) remains a challenge. Before HSCT, patients who were > 7 years old and had a liver size > 5 cm constitute what the Center for International Blood and Marrow Transplant Research defined as a very high risk subset of a conventional high-risk class 3 group (here referred to as class 3 HR). We performed HSCT in 98 patients with related and unrelated donor stem cells. Seventy-six of the patients with age < 10 years received the more conventional myeloablative conditioning (MAC) regimen (cyclophos-phamide, busulfan, + fludarabine); the remaining 22 patients with age > 10 years and hepatomegaly (class 3 HR), and in several instances additional comorbidity problems, underwent HSCT with a novel reduced-toxicity conditioning (RTC) regimen (fludarabine and busulfan). We then compared the outcomes between these 2 groups (MAC versus RTC). Event-free survival (86% versus 90%) and overall survival (95% versus 90%) were not significantly different between the respective groups; however, there was a higher incidence of serious treatment-related complications in the MAC group, and although we experienced 6 graft failures in the MAC group (8%), there were none in the RTC group. Based on these results, we suggest that (1) class 3HRthalassemia patients can safely receive HSCT with our novel RTC regimen and achieve the same excellent outcome as low/standard-risk thalassemia patients who received the standard MAC regimen, and further, (2) that this novel RTC approach should be tested in the low/standard-risk patient population. In the dog leukocyte antigen (DLA)-identical hematopoietic cell transplantation (HCT) model, stable marrow engraftment can be achieved with total-body irradiation (TBI) of 200 cGy when used in combination with postgrafting immunosuppression. The TBI dose can be reduced to 100 cGy without compromising engraftment rates if granulocyte colony-stimulating factor (G-CSF)-mobilized peripheral blood mononuclear cells (G-PBMC) are infused with the marrow. T cell-depleting the G-PBMC product abrogates this effect. These results were interpreted to suggest that the additional T cells provided with G-PBMC facilitated engraftment by overcoming host resistance.We therefore hypothesized that the TBI dose may be further reduced to 50 cGy by augmenting immunosupression either by (1) tolerizing or killing recipient T cells, or (2) enhancing the graft-versus-host (GVH) activity of donor T cells. To test the first hypothesis, recipient T cells were activated before HCT by repetitive donor-specific PBMC infusions followed by administration of methotrexate (MTX) (n 5 5), CTLA4-Ig (n = 4), denileukin diftitox (Ontak; n = 4), CTLA4-Ig 1 MTX (n = 8), or 5c8 antibody (anti-CD154) 1 MTX (n = 3). To test the second hypothesis, recipient dendritic cells were expanded in vivo by infusion of Flt3 ligand given either pre-HCT (n = 4) or pre- and post-HCT (n = 5) to augment GVH reactions. Although all dogs showed initial allogeneic engraftment, sustained engraftment was seen in only 6 of 42 dogs (14% of all dogs treated in 9 experimental groups). Hence, unless more innovative pharmacotherapy can be developed that more forcefully shifts the immunologic balance in favor of the donor, noncytotoxic immunosuppressive drug therapy as the sole component of HCT preparative regimens may not suffice to ensure sustained engraftment. Usanarat Anurathapan, S Pakakasama, P Rujkijyanont, N Sirachainan, et al. Patients with class 3 thalassemia with high-risk features for adverse events after high-dose chemotherapy with hematopoietic stem cell transplantation (HSCT) are difficult to treat, tending to either suffer serious toxicity or fail to establish stable graft function. We performed HSCT in 18 such patients age 7 years and hepatomegaly using a novel approach with pretransplant immunosuppression followed by a myeloablative reduced-toxicity conditioning regimen (fludarabine and i.v. busulfan [Flu-IV Bu]) and then HSCT. The median patient age was 14 years (range, 10 to 18 years). Before the Flu-IV Bu þ antithymocyte globulin conditioning regimen, all patients received 1 to 2 cycles of pretransplant immunosuppression with fludarabine and dexamethasone. Thirteen patients received a related donor graft, and 5 received an unrelated donor graft. An initial prompt engraftment of donor cells with full donor chimerism was observed in all 18 patients, but 2 patients developed secondary mixed chimerism that necessitated withdrawal of immunosuppression to achieve full donor chimerism. Two patients (11%) had acute grade III-IV graft-versus-host disease, and 5 patients had limited chronic graft-versus-host disease. The only treatment-related mortality was from infection, and with a median follow-up of 42 months (range, 4 to 75), the 5-year overall survival and thalassemia-free survival were 89%. We conclude that this novel sequential immunoablative pretransplant-ation conditioning program is safe and effective for patients with high-risk class 3 thalassemia exhibiting additional comorbidities. Curtis McMurtrey, D Lowe, R Buchli, S Daga, D Royer, A Humphrey, et al. Immunizing events including pregnancy, transfusions, and transplantation promote strong alloantibody responses to HLA. Such alloantibodies to HLA preclude organ transplantation, foster hyperacute rejection, and contribute to chronic transplant failure. Diagnostic antibody-screening assays detect alloreactive antibodies, yet key attributes including antibody concentration and isotype remain largely unexplored. The goal here was to provide a detailed profile of allogeneic antibodies to class II HLA. Methodologically, alloantibodies were purified from sensitized patient sera using an HLA-DR11 immunoaffinity column and subsequently categorized. Antibodies to DR11 were found to fix complement, exist at a median serum concentration of 2.3 lg/mL, consist of all isotypes, and isotypes IgG2, IgM, and IgE were elevated. Because multimeric isotypes can confound diagnostic determinations of antibody concentration, IgM and IgA isotypes were removed and DR11-IgG tested alone. Despite removal of multimeric isotypes, patient-to patient antibody concentra-tions did not correlate with MFI values. In conclusion, allogeneic antibody responses to DR11 are comprised of all antibody isotypes at differing proportions, these combined isotypes fix complement at nominal serum concentrations, and enhancements other than the removal of IgM and IgA multimeric isotypes may be required if MFI is to be used as a means of determining anti-HLA serum antibody concentrations in diagnostic clinical assays. Tayfun Güngör, P Teira, M Slatter, G Stussi, P Stepensky, D Moshous, et al. Background In chronic granulomatous disease allogeneic hemopoietic stem-cell transplantation (HSCT) in adolescents and young adults and patients with high-risk disease is complicated by graft-failure, graft-versus-host disease (GVHD), and transplant-related mortality. We examined the effect of a reduced-intensity conditioning regimen designed to enhance myeloid engraftment and reduce organ toxicity in these patients. Methods This prospective study was done at 16 centers in ten countries worldwide. Patients aged 0–40 years with chronic granulomatous disease were assessed and enrolled at the discretion of individual centers. Reduced-intensity conditioning consisted of high-dose fludarabine (30 mg/m² [infants <9 kg 1∙2 mg/kg]; one dose per day on days –8 to –3), serotherapy (anti-thymocyte globulin [10 mg/kg, one dose per day on days –4 to –1; or thymoglobulin 2·5 mg/kg, one dose per day on days –5 to –3]; or low-dose alemtuzumab [<1 mg/kg on days –8 to –6]), and low-dose (50–72% of myeloablative dose) or targeted busulfan administration (recommended cumulative area under the curve: 45–65 mg/L × h). Busulfan was administered mainly intravenously and exceptionally orally from days –5 to –3. Intravenous busulfan was dosed according to weight-based recommendations and was administered in most centers (ten) twice daily over 4 h. Unmanipulated bone marrow or peripheral blood stem cells from HLA-matched related donors or HLA-9/10 or HLA-10/10 matched unrelated-donors were infused. The primary endpoints were overall survival and event-free survival (EFS), probabilities of overall survival and EFS at 2 years, incidence of acute and chronic GVHD, achievement of at least 90% myeloid donor chimerism, and incidence of graft failure after at least 6 months of follow-up. Findings 56 patients (median age 12∙7 years; IQR 6·8–17·3) with chronic granulomatous disease were enrolled from June 15, 2003, to Dec 15, 2012. 42 patients (75%) had high-risk features (ie, intractable infections and autoinflammation), 25 (45%) were adolescents and young adults (age 14–39 years). 21 HLA-matched related-donor and 35 HLA-matched unrelated-donor transplants were done. Median time to engraftment was 19 days (IQR 16–22) for neutrophils and 21 days (IQR 16–25) for platelets. At median follow-up of 21 months (IQR 13–35) overall survival was 93% (52 of 56) and EFS was 89% (50 of 56). The 2-year probability of overall survival was 96% (95% CI 86∙46–99∙09) and of EFS was 91% (79∙78–96∙17). Graft-failure occurred in 5% (three of 56) of patients. The cumulative incidence of acute GVHD of grade III–IV was 4% (two of 56) and of chronic graft-versus-host disease was 7% (four of 56). Stable (≥90%) myeloid donor chimerism was documented in 52 (93%) surviving patients. Interpretation This reduced-intensity conditioning regimen is safe and efficacious in high-risk patients with chronic granulomatous disease. Kirsten A. Thus, MTA Ruizendaal, TA de Hoop, Eric Borst, et al. Hematopoietic stem cell transplantation with HLA-DPB1emismatched donors leads to an increased risk of acute graft-versus-host disease (GVHD). Studies have indicated a prognostic value for classifying HLA-DPB1 mismatches based on T cell epitope (TCE) groups. The aim of this study was to determine the contribution of indirect recognition of HLA-DPe derived epitopes, as determined with the Predicted Indirectly ReCognizable HLA Epitopes (PIRCHE) method. We therefore conducted a retrospective single-center analysis on 80 patients transplanted with a 10/10 matched unrelated donor that was HLA-DPB1 mismatched. HLADPB1 mismatches that were classified as GVH nonpermissive by the TCE algorithm correlated to higher numbers of HLA class I as well as HLA class II presented PIRCHE (PIRCHE-I and -II) compared with permissive or host-versus-graft nonpermissive mismatches. Patients with acute GVHD grades II to IV presented significantly higher numbers of PIRCHE-I compared with patients without acute GVHD (P < .05). Patients were divided into 2 groups based on the presence or absence of PIRCHE. Patients with PIRCHE-I or -II have an increased hazard of acute GVHD when compared with patients without PIRCHE-I or -II (hazard ratio [HR], 3.19; 95% confidence interval [CI], 1.10 to 9.19; P <.05; and HR, 4.07; 95% CI, .97 to 17.19; P < .06, respectively). Patients classified as having an HLA-DPB1 permissive mismatch by the TCE model had an increased risk of acute GVHD when comparing presence of PIRCHE-I with absence of PIRCHE-I (HR, 2.96; 95% CI, .84 to 10.39; P < .09). We therefore conclude that the data presented in this study describe an attractive and feasible possibility to better select permissible HLA-DPB1 mismatches by including both a direct and an indirect recognition model. underwent previous HSCT using a Bu/Cy/ATG-based conditioning regimen. allogeneic HCT effectively eradicates many hematological malignancies. as its prevention, diagnosis and treatment. receptors, have also been associated with GVHD. mucosa often leads to a normal appearance on endoscopy. differentiation and migration; and (3) target tissue destruction. graft failure when used with minimal intensity conditioning regimens. HCT recipients was quite encouraging, but has not yet been replicated. manipulation of T cells after transplant. thymocyte globulin (ATG) or antilymphocyte globulin (ALG) preparations. related donor HSCT recipients without appearing to improve survival. protection against extensive chronic GVHD and chronic lung dysfunction. required for such cellular approaches will likely limit their use initially. had originally hypothesized that palifermin might augment TSLP levels. and glomerulonephritis through a pathway involving TGFβ. oxidative damage and enhance DNA repair. disease driven by intense immunological and inflammatory responses. palifermin might induce TSLP expression in this model. treatment was indeed associated with increased TSLP expression. in the development of glomerulonephritis. day 50. No crescents were observed in sections from this group of recipients. 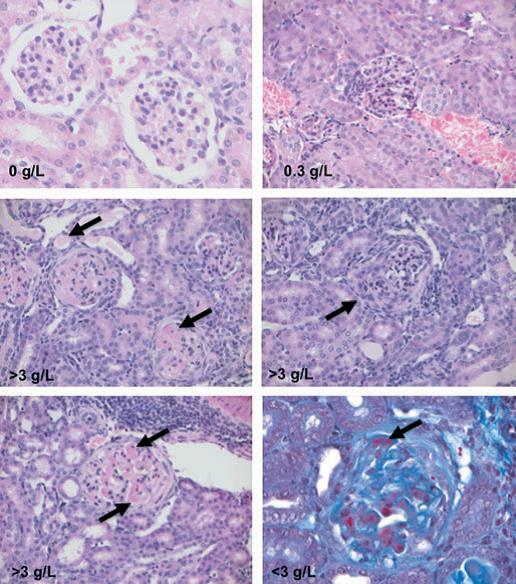 glomerulonephritis and the development of protein casts within tubular lumena. magnification: ·200 (B–E) and ·400 (A and F). with chronic GVHD and ⁄ or SLE. the full maturation of host B cells before the transfer of donor T cells. to downregulate the donor CD4 T cells that drive the autoantibody response. syndromes are presumably not driven by overt alloreactivity. nucleic acids or proteins that are physiologically bound to nucleic acids. involves multiple loci, which are not yet fully defined. may be basically normal. Yet the B-cell repertoire is abnormally autoreactive. of the T cells that provide help for autoantibody production. the B cell surface. A variety of protocols have achieved this interaction. The MHC class II recognition may be at either the I-A or the I-E locus. at I-A, only at I-E, or at both loci. B cell activation phase of cGVHD occurred even with a limited CD4 repertoire. mechanisms be sought for in spontaneous disease. significant chronic GVHD (cGVHD) rates unexpectedly have remained high. and mortality following allogeneic hematopoietic stem cell transplantation. receptor-9 signaling and have up-regulated CD86 levels. and cGVHD groups, likely because of transplantation conditioning. dysfunction and inflammation and fibrosis in the lung and liver. is likely to be much greater. fibronectins) to repair the tissue defect. Sung Won Choi, T Braun, L Chang, JLM Ferrara, A Pawarode, et al. widespread application of allogeneic hemopoietic stem-cell transplantation. event (nine) but was transient and all cases resolved swiftly. broader settings of hemopoietic stem-cell transplantation.